We both did a little extra Christmas shopping for each other in the morning, then met up for lunch at Genghis Grill. It was a beautiful sunshiny day, so we drove out to see Mama & Daddy's Christmas decorations and drop off Sandra's Christmas gift. 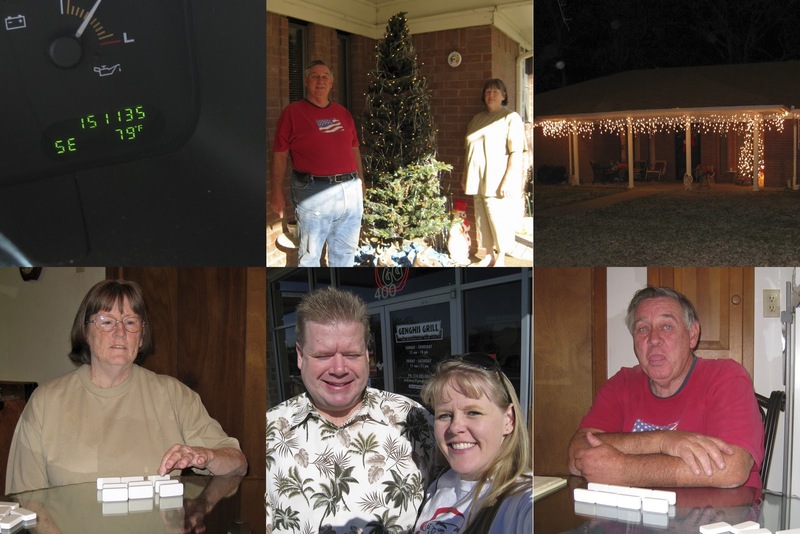 We stayed all afternoon visiting on the porch and playing dominoes, then went to the Cumby Auction before heading home. I'm trying to imagine sitting out on the porch this close to Christmas and loving the way that blogging lets us see how the seasons are celebrated all over the world.